Getting the New Car Details Right: Colour, Tinting, Tow-bar, Protection & Accessories — Auto Expert by John Cadogan - save thousands on your next new car! 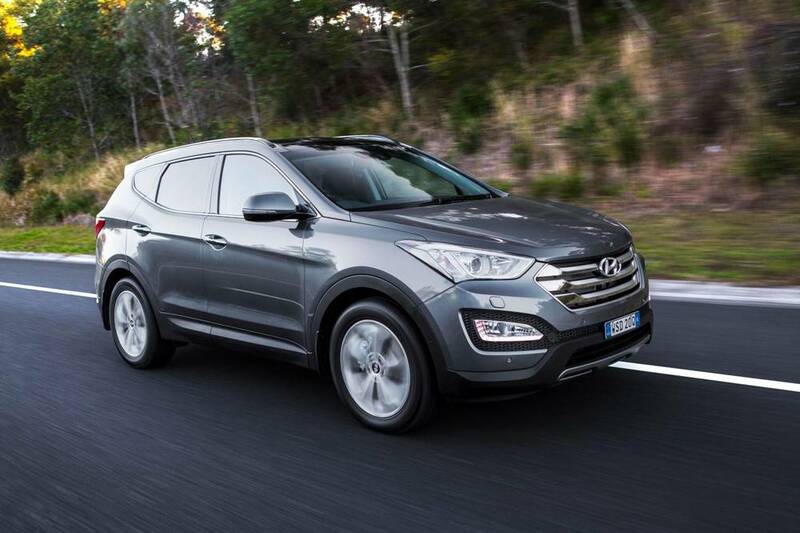 Last week I made an order for a 2015-built and 2015-complianced Hyundai Santa Fe Highlander. I certainly am looking forward to it! 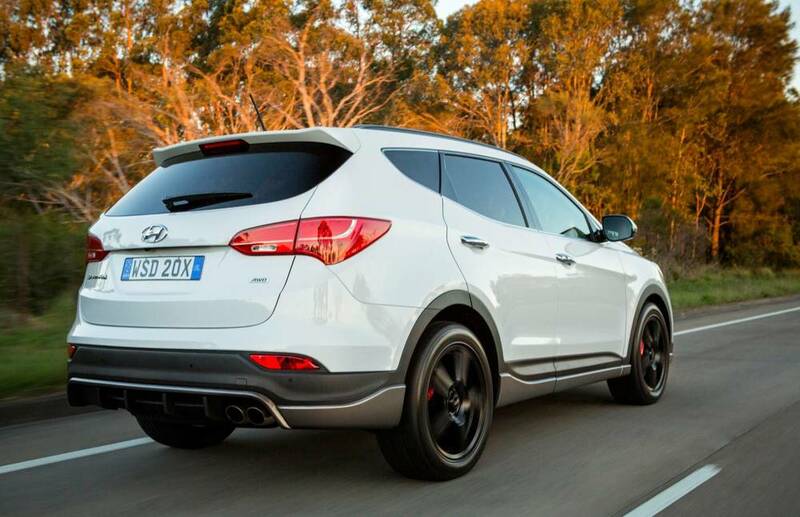 It won it's category in the Australia's Best Cars awards for a third consecutive year, which is reassuring. My parents last week decided to get a 2014 VW Touareg and I have a little envy of this but the Touareg is just too expensive for us, and a five seater, and I have been warned off VW by guys at work who point ti potential reliability issues. A question regarding colour. What us best for resale, and also general wear and looks - white, silver (Hyundai colour "sleek silver", or the darker silver "titanium silver"). I like the white and standard silver but thought that I would seek your input. It has a tremendous warranty and low operating/service costs, plus 10 years of roadside assistance. Volkswagen, on the other hand, is over-priced and unreliable. I hope your parents get a good one, otherwise their experience will be poor - the Volkswagen dealer network is not renowned for its commitment to customer service. On colour, I don’t think the colour makes much difference to resale on its own. (Stupid colours like lime green and purple could be harder to sell down the track, but conventional, conservative colours - and all Santa Fe colours are in this category - don't make much difference to resale.) For what it's worth, silver is the most popular in the country, and white remains popular in regional areas. The caveat here is that darker colours reveal paint and panel defects much more than lighter colours, and this does make a big difference to resale. They're also harder to keep clean. And some people just don’t want (in particular) black. Apart from that, just go with whatever colour you like. I know that the tinting and surface protection packages provided by dealers appear to be a bit of a con, but are they worth getting to keep everything in house? Is there room to bargain on these? The Hyundai package for leather, other surfaces, and tinting is about $2k. If you would recommend am alternate provider who would it be? What about the tow bar packages and roof rack side rails? Is it better to go to a 3rd party for these also? I am thinking of getting these. Also - who is a good tinting company? Tint a car, tint professor? All 'protection' packages - paint, fabric/leather and rust protection - are a joke. Save your $2000. Paint has a rock-hard clear coat over the colour - it does not need protection. Fabric and leather are chosen for seats, etc., because of their durability. They don't need protecting - as long as you don't hold regular dog fights or mud-wrestling matches in the Santa Fe you'll be fine. Rustproofing is also a joke because modern cars are cathodically protected - they don’t rust. Everything is negotiable when you buy a car - except the statutory charges, like registration and stamp duty. There's a lot of fat built into these items - in practice the dealership gets a third-party supplier to come in and do it, then just marks up the price - usually astronomically. There’s no benefit to keeping things like tinting in-house. They don’t tint your new Santa Fe in-house, they get the same guy you can get independently to drive in with his van and do it - and they mark it up several hundred dollars. My recommendation is: Bone the useless protection packages, and get a local tinting specialist to do it after you buy the car. Make sure the tint supplier uses the darkest legal tint allowed. I’d get the tow-bar done in-house - the rrp is $1143.74. It probably needs a computer (black box) to integrate with the vehicle’s CAN bus so the engine ECU knows when a trailer has been hitched up. Better if that’s original. Santa Fe already has roof rails as standard. You can get the cross bars original or aftermarket - it doesn’t really matter. I’d price them both (the genuine ones, below, are $462.75) and if the third-party cross bars are significantly cheaper and similar in quality, show the quote to the dealer and tell him you'll go with original if they match the price. Any reputable tint company will be fine - just make sure they give you a written warranty, and keep the receipt in case there's a problem with bubbling or whatever, down the track. What's the Best 7 Seater SUV for Towing a Medium Caravan? Can I Change Cars Once I've Paid a Deposit? Should I Buy the Toyota Kluger, Jeep Grand Cherokee, Hyundai Santa Fe or Kia Sorento?